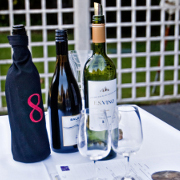 We run regular wine tastings in Sheffield from 2 hour evening sessions to one day wine courses. The tastings are educational and fun, ideal for anyone with an interest in wine. Below are forthcoming events in the area. As well as offering events in Sheffield we also organise regular wine tastings in and around Yorkshire. If you are looking to go out for your wine tasting we have worked with a number of venues in Sheffield that we are happy to recommend. The list below highlights our most popular wine tasting venues in Sheffield, to see our full list of venues across the country please go to our venues page.